Described by theatre audiences as Fawlty Towers meets Noises Off – this new hit comedy has won every major award on the London stage - 2015 Olivier Award Winner for Best New Comedy/ 2015 BroadwayWorld UK Winner for Best New Play/ 2014 WhatsOnStage Award Winner for Best New Comedy! The South African production will be directed by Alan Committie and features an awesome comedy cast including ROBERT FRIDJHON, RUSSEL SAVADIER, THEO LANDEY, CRAIG JACKSON, ROBERTO POMBO, NICOLE FRANCO, LOUIS VILJOEN and SIVE GUBANGXA. 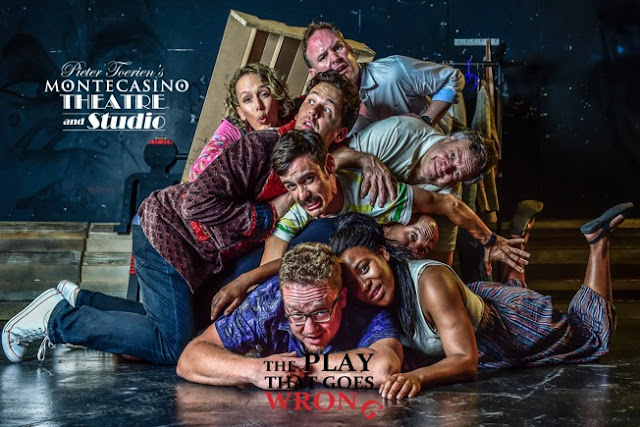 THE PLAY THAT GOES WRONG is a celebration of the best of live theatre… and the worst. The Northriding Polytechnic Drama Society is putting on a 1920s murder mystery, but as the title suggests, everything that can go wrong... does! The accident-prone thespians battle against all odds to make it through to their final curtain call, with hilarious consequences! South African audiences will be treated to the award-winning Comedy from 24 March in Jo’Burg and 3 May in Cape Town.